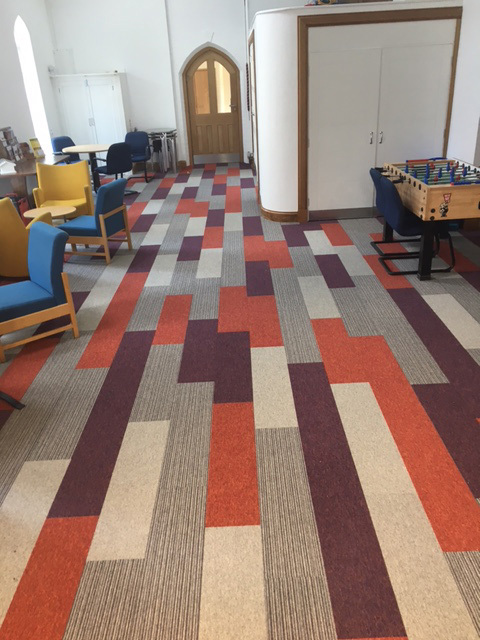 We we’re delighted with our recent installation of Burmatex Tivoli plank carpet tiles in St Andrews Church Huntington York. 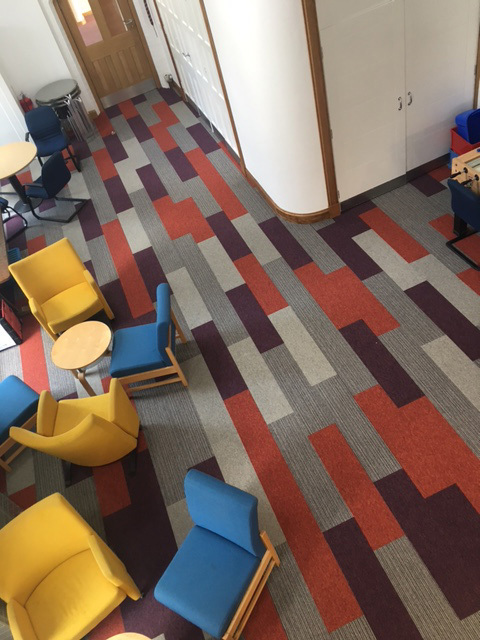 We were able to use four different plank colours to create this fun and smart finishing touch to the new social room. 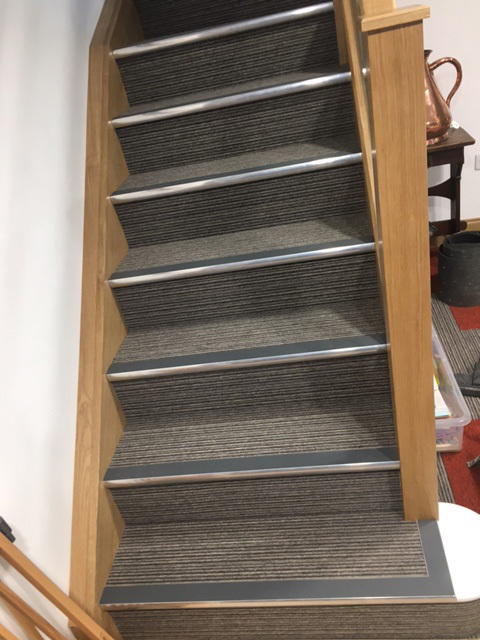 The Tivoli planks are a high performance loop pile carpet tile, made with 100% solution dyed nylon. The designs available include a solid colour, a classic pinstripe and a varied stripe and can be used individually or in a bespoke arrangement. The expansive, modern colour palette enabled us to choose this bold and creative layout. 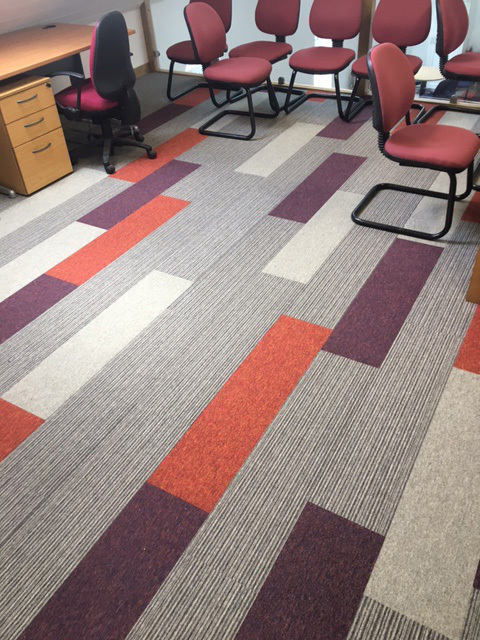 It goes without saying that there is a vast contemporary colour selection so there’s something to suit every location.